Hi, and welcome to BattleTechWiki! If you're new to our community, drop us a note here and tell us a little bit about yourself. Most important, we would like to know about your interests, your areas of knowledge, and the sorts of things you'd like to work on here at BattleTechWiki. That makes it easier for us to help you start editing. We'd also appreciate it if you told us how you found out about BattleTechWiki. sign your name at the end of your comment by typing four tildes: ~~~~. (This code makes a link to your user page, which readers can use to welcome you personally if they like). Your comments will then be added to the bottom of the list. Hi, all. I've been lurking for a few years while working on a BattleTech database project. Today, I thought I found an error in a classic BattleMech (Hermes II), so I thought I would do it up in style and create an account. I'm currently going through every listing of every 'Mech ever published. Its crazy. I don't play table top, but I love the source material. Hello everyone! I'm a Portuguese designer and student with a tremendous fascination with Battletech. Always had a great deal of curiosity and excitement towards this universe even before I had any idea what it was all about, simply by seeing anything related here and there. In fact, my first contact with it was Mechwarrior 3 and the MWDA Clix system when I was much younger. With my growing appreciation of giant robots, militaria, games and miniature modelling, I always maintained a very superficial and virtual contact with BT for some reason (through MW4, MWO and MWLL), until the last couple of years where I took a deep breath and decided to dive head-first into this amazing universe. Had my first games earlier this year! This is where Sarna was absolutely essential and a critical source into understanding Battletech. Since then, I've been getting my hands on anything BT-related and chewing up fluff like there's no tomorrow! My only setback in terms of boardgaming (either CBT or AS) has been the extremely small and segregated community here in Portugal, but I'm making an effort to join the inner circles and open them up! Fortunately the franchise has been getting some fresh air in the form of video games and new material from CGL, which I hope will interest new blood into the universe and table top aspect of things. Been a fan since 2002 or so. Mainly browsed without an account up until now. I'm here now with an account to create a wiki page for the upcoming Wolves fan game. what would fit mechs and a good planning for missions as well a good memory of maps from MechWarrior 3. I also use my freetime on paint as well on the internet. New to BT. I saw some out of date links and figured I'd contribute. I'm excited to be a part of this great community. After using SARNA for its great resources for some time, I figure it's time to become part of the machine and help keep it running. I'm currently working on projects related to Crescent Hawk's Revenge and its content. I guess that means I'll be spending a lot of time in the apocrypha. I'm just getting back into Battletech after many years and I was referred to this Wiki from the Mechwarrior Online beta forums. A friend and I will be starting up the table top game again soon. My 25th anniversary starter box set arrives tomorrow, we haven't played in a very long time so we're starting over clean. Hi. Being a fan of Battletech since the Crescent Hawks Inception came out during the 80s. Since I'm reading more fluff on this site recently, just to refresh my memory of (C)BT; thanks the announcement of S&T and the 25th anniversary. I've decided to contribute as little or as much as I can to the wiki in the near future. Greetings! Been a fan of Battletech for many years. Looking to start a Megamek campaign with a few friends and came back here to find some resources. I've known about this site for over 10 years and come back once in a while. I am currently looking for the jump calculator that I used to have, but unable to find it again. Anybody help with that? Hello everybody, Great to find people who love BattleTech as much as I do. I've played on and off since 88. Had to pause a few times, grown-up stuff, LOL. I've got many tech readouts and novels. I noticed that the stats for the LAMS are in the Mech lists but, no pics. I have the pics from a first copy 3025 tech readout for the LAMS. Is it ok to post them or is there a copyright issue still and that's why their not there? Also, just got my hands on a 2750 readout with the stats on the types of naval weapons used in BattleTech. Will edit them to the wiki ASAP. If I can be a help with questions on tech issues please ask. If I have it I will do my best to get the info out. Thanks again to all. To the site Administrators, Awesome job! Hi Folks, I have been playing BT since 84, had some breaks due to lack of oponents, but its always there waiting. Personally I dont really like going beyond 3058. I have just about everything ever published and love the novels. I am not sure what I cna add to this fantastic resource, but i will try to find something I can help with. Its great to see after 25 yrs CBT is far from dead. Back in the late 90s (I caught on late to Battletech), I got a copy of one of Robert Thurston's Battletech novels at my local bookstore as a bit of light reading for home. However, reading the book, I soon realized that this series was incredibly well-written and well maintained, and I decided that I wanted more of it. I began collecting more and more of the novels, and eventually got myself a copy of the boardgame, as well as most of the computer games (MechCommander 2 is by far the best in my opinion). Upon finding this site, I immediately decided to try and give back some of my accrued Battletech knowledge so that anyone, whether die-hard fan or occasional Battletech player, could learn and gain more about the Battletech universe. As a personal style, I loathe careless mistakes made while typing, especially spelling mistakes that bring down our language in tatters all around us. I know mostly the history of the Battletech universe, and I will probably stick to those sorts of articles for my editing. As a side note, my favorite 'Mechs are by far the Blood Asp and the Marauder. The Battletech universe just would not be the same for me without those two. Hey there, as I said on my personal page I got my Battletech start with the Star Lord novel followed by Tactics of Duty which introduced me to the Gray Death Legion. I was hooked ever since, and played Mechwarrior IV: Vengeance, Mechwarrior IV: Mercenaries, as well as MechCommander 2. In college I met a guy who had the original hex game on his PC (I can't remember the name of the software) and tried it out. He won of course, being an even bigger BattleTech nerd than I was. When Dark Age came out I was a bit confused. Reading the novels it seemed that the setting was reduced to battles with about four 'Mechs a side. This seems to match WizKid's miniatures game where there aren't that many 'Mechs, but I don't think I like it. Maybe they'll escalate the situation until we get back to the multi-regiment scrapfests of old like the Clan Invasion and the FedCom Civil War. Later I discovered MechWorks and tried my hand at Mech design. Why didn't they fit PPCs on the Wasp? MechWorks spelled it out for me, and my understanding of CBT increased immensely. Hi, my name's Emma, and I'm a mecha geek. I first took an interest in Battletech when Mechcommander came out, although I didn't start to get heavily into the game until Mechwarrior: Dark Age came out. I've never actually managed to play the Classic Battletech miniatures game because everyone I met who'd ever had an interest had given up and moved on to other things by the time I met them, but I've played a lot of Dark Age, Mechcommander 1 and 2 and Mechwarrior 4. I came across this wiki whilst I was working on my "Great Project" of trying to replicate all canon battlemech designs up to TRO:3067/Phoenix in Mechwarrior 4. So far I've done all 808 IS mech variants (Apart from one-offs like Tancred Sandoval's Templar loadout) and I'm taking a break before starting on the clan mechs. I hope I can updated the timeline and yearlist and bring some accuracy in the organisaton structure, in next future!!? Adding a lot of References and ref. foot notes, their not listed in the yearlist. Hello all. I neglected to do this earlier, so here goes. :) I have been involved with BTech since 1987 when I first got introduced to it and I've loved it ever since. All of my experience with the game is pre-Clan, so that's what I know and love best. The Third Succession War is where my knowledge mostly lies. I was Clifford on BTech 3025/26 MUSE and ran that game for about 3.5 years before handing it off to someone else. I played for many, many years, but it's been a while since I last played "competitively". :) I'm working on trying to fill in the gaps on the wiki that I know about regarding the 3rd and 4th Succession Wars. I have most of the source books from the 3026 time frame, including all of the house books, the tech readouts and the Mercenary's Handbook from that era. I'm sure there are some things that I'm lacking, but I didn't think them necessary at the time. :) My latest acquisition was a first-print House Liao book. Hi peoples. Obviously I just signed up and thought I'd say G'day *waves*. I'm from Australia, like walks in the park, watching movies and blowing hell out of my friends in Mech combat. >=) I have been interested in BattleTech/MechWarrior for a number of years having played alot of the MechWarrior series PC games (MW2+expansions, MW3+expansions, MW4+expansion, MC & MC2), read alot of the novels post-4th Succession Wars and GM'd a smallish BattleTech games as well as just starting a MechWarrior RPG with some mates. I would like to contribute to BW in any way possible with what resources I have. I have quite a few e-books (mostly the older house field manuals) as well as most of the 1700 series FASA hard copies including all official FASA Tech Readouts from 3025 to 3060 plus a couple of the early 1600 series hard copies. I've never helped with a Wiki before, so if I can be of any help at all, let me know. I conclude my introduction by apologizing for my long-windedness and any error i might have unintentially made. The fight has started. One Star of a Ghost Bear recon unit against 2 lances of a veteran mercenary company. We had to break in the middle due to time constraints, but will pick it back up soon. One mech of the Mercs is out of the fight with only minimal weapons and one leg, another is very badly damaged and is only hanging on by a thread. The star, while beat up now, with one mech operating with an engine hit, is still very much in the fight. More updates as they occur. Curse the Stravag dice. The fight went badly for the clan. Four head hits took out two mechs, and box cars on a center torso penetration took out a third with three engine hits. The fourth went down by losing all of the center torso, but no engine explosion. The last lost both legs and all weapons. The fight lasted 10 rounds. After the sixth round, when the Star Commander determined that he was going to lose this fight, broke his bid and called in re-enforcements. Unfortunately, they did not arrive in time. Hello everybody! Well, here's me: I started playing classic boardgame BT and reading the novels in 1992, back in a time when I had plentiful of spare time in the army (Luftwaffe actually). Not knowing anything about the game universe or the 'Mech designs I randomly affiliated with House Liao and chose the Archer as my 'Mech for the first training battles. The preferrence for House Liao stuck. Besides boardgame 'Mech combat we did a lot of scifi roleplaying in the BT universe back then and eventually played our own merc unit (with periphery bandit background), the Harbingers of Doom. They eventually merged into the Oberon Confederation if I remember correctly. Truth be told though, BT was only one of the many roleplaying/boardgame systems that I played during that time. Around 1996 I played as Liao MechWarrior Frabartolo in a text-based online BT community. I eventually dropped out because my university uplink was too slow for the realtime combat simluator, leaving my 'Mech a sitting duck in the training exercises, and thus preventing me from ever partaking in any serious battles. My notable exploits during the time included wasting 3 Griffins in a row in ill-fated attempts to prove the design's superiority on the battlefield, faring surprisingly well piloting a Crusader (a design I don't like) and eventually getting assigned a Cataphract, but never the Archer I always asked for. Despite merely mediocre combat performance (or perhaps because this was still better than than the average Liao MechWarrior) I was promoted to Subcommander, drafted into Warrior House Imarra against my wishes and given command of a Lance that had never seen combat action by the time I had to quit the game. I liked the early LosTech flair of the BT universe and started to lose interest in the storyline when the Clans arrived because I do not like their in-credible story and the associated tech and rules and general munchkinism :-( Accordingly, my BT interests primarily cover the time period between 3000 and 3050, and the inner workings of the BT universe at that time. Always enjoyed playing the Liao underdog. If I were to name a favorite Clan then it would be the Ghost Bears, or perhaps the Snow Ravens. Old school Battletech player from the 80's. I don't play anymore but still purchase the source books (long live Amazon!) as I enjoy reading the history of the universe. I was a big fan of the Black Widow (I KNEW she was "related" to Alexander! lol) back in the day but recently have been focusing on the history of the clans. Mostly from the exodus through the golden age. I get a little bored with the Clans Return. I run sheets for things that I use to verify things. New to Battletech, but been a fan of the universe through the Mechwarrior game for years. Happened at one LAN Party. A teacher from my school was chaperoning the party and was also a gamer. One who was getting frustrated with his game of Mechwarrior 4 Vengence. I asked if I could try. Beat out that mission and the next few after it. Had my parents get me a joystick and Mech 3 for that birthday. I got into Battletech when a friend of mine moved over where I live from the hole he used to live in. Actually got into it not by gameplay itself buy by customizing mechs. Ended up creating the Mule and the Tinman (UM-T1) that night. Hey there, I'm also known as Nostra on CBT forums, if you want to look me up. I'm a longtime battletech/mechwarrior fan, having been playing the computer and console games steadily since Mechwarrior 3 debuted. I'm only just now getting into Classic Battletech gaming, but I played Dark Age when it first came out, and have been playing battltech in some form or another for quite some time. Hello, i first got into Battletech over a decade ago, 1995 to be exact and left it for many years, I have found myself pulled back in partialy by our local Commando and partialy by the incredibly deep setting Battletech has to offer. I hope to add matereal to the Wiki, and of course to continue playing into the future. I am 75.121.106.238 I am an unknown, from the unknown. A serial number. Informative. But only if you know how to read it. I had no wish to ascend above a casual anonymity. Simply fixing a spelling error, rewriting a paragraph for grammar's sake. I have no great knowledge. But I do what I can. --75.121.106.238 Anonymous since 8-31-2009. After browsing the articles here on BTW, I finally decided to contribute. I'm the one who did the articles on the 1st Battalion of the 1st Davion Guards RCT (from the PC game MechCommander) and a couple of related articles, since I've been a MC and BT fan for more than 10 years. I am a real fan of the BT books... sorry, novells. I am fond of the stories told by Stackpole and other people. Young writer seeking editorial experience and fun all in one giant, shiny metal package. I found this page by searching BattleTech Wiki, as I am a fan (but not contributor) of other wikis. This is my first go round, so be gentle. BlueMax is an ancient relic discovered amongst a star league cache, with copies of The Fox's Teeth , More Tales of the Black Widow and so on. Buried during the Crescent Hawks Revenge and only recently discovered. His only goal is to fix small errors and help where he can. 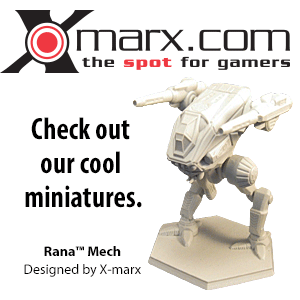 Hi, i've been visiting Sarna for a long time now and just thought i should contribute something to this wiki and help the Battletech community as a whole. I started out doing minor edits here and there as an anonymous user (doing the FSS Excalibur, Valkyrie QD-2, Fed Suns academies notable graduates, 3rd Robinson Rangers history) but just decided to register and contribute in my free time. I'll be adding stuff mostly to the Federated Suns articles. Look forward to having fun here! Hello, I'm a wanderer, an occasional wiki writer and other project writer. I haven't seen a BT wiki yet so I joined the first I saw. So here I am reading and finding lots to be edited. :lol: I'm not really a BT fan but happen to know people and so forth. I've been using this site for a couple of years now to help make my custom designs (made in HeavyMetal) more accurate. I finally decided to sign up and actually contribute. I've been a fan of the BattleTech universe since MechWarrior 2 came out when I was in middle school. I stared with the CCG and moved on to the tabletop game. Though my introduction to the universe was through the Clans, I tend to play as the Inner Sphere (usually FedSuns). My stack of TROs sits next to my computer, always waiting to be checked, double-checked, and triple-checked. I hope to be a useful contributor. I edited a few things earlier today and then decided I should probably register before I make it a habit. Long time player, I got my BT 2ed box in 1988 and played pretty consistently until around 1994. I've often had BT on my mind ever since even though I don't play anymore. I saw a game shop recently (I thought that they had gone extinct) and a brand new copy of the 25th anniversary edition. Feeling nostalgic, I bought it (only hours after it was put on the shelf apparently), started poking about online and found this place. I hope to help out some with the canonical stuff mostly to do with rules on here and to publish some of the house rules that my player group way back then hashed out. At least.. I hope to publish the ones that playtested well. ; ) Nice to see that pen and paper gaming isn't dead like I long suspected it was. I couldn't see anything on this page marked as New User Posts as mentioned in the opening parapgraphs, so I've added my entry to the end. I hope that's ok? It seemed the logical choice, given the mention of comments being added to the bottom of the list. Been a Battletech fan ever since playing Mechwarrior 2 and reading the manual which established the universe by being written in-character. I've only gotten into the tabletop game recently, and, despite growing up on big stompy mechs, I favor a combined arms approach to battle. I don't really remember where I found this, whether I was linked here from a Mechwarrior fansite, or if I just found it while looking for a mech, but now I use Sarna fairly often when I need some tidbit of info to build a force or find a unit or rule in one of my books. sup, im a tennesee highschooler who got hooked on battletech about 3 years ago.im no expert but have read over a dozen books, played several games (mechwarrior2, mechwarrior3, mechwarrior 4 mercenairies and vengance, mechcommander 1 and 2,mechhassault,and the card game. i will add what little insight i have where i can. i can reconize most mechs and various factions throught the innersphere and the clan homeworlds. I would like to add that you can email me about battletech at KhanFelixPryde@yahoo.com.Seyla — The preceding unsigned comment was provided by 74.50.43.100 (talk • contribs) on 9 August 2011. Greetings fellow editors. I'm looking forward to conducting a Battletech campaign and reporting the results of the meets of my players. I'll also contribute by finding grammatical and spelling errors. In the words of the late Jackie Gleason "AWAY WE GO". Hi there! I've just begun to delve into the Battletech franchise a few months ago thanks to MechWarrior Online, where I pilot the JR7-K Jenner Azumi. Reading up on the Inner Sphere's background, I quickly grew enamored to the setting and the Draconis Combine in particular, and have since acquired a number of sourcebooks and novels to satiate this newfound thirst. As this wiki has helped me greatly to find my bearings and since I like writing, I've opted to show my gratitude by helping to expand it. Why hello, I'm c4167. I have heard of Battletech/Mechwarrior since I was 12. I played both demos of MW4 Vengeance, Mercenaries, and Mechcommander 2. I also own MW4: Mercenaries and play Mechwarrior Dark Age/ Age of Destruction. If I would I would aline myself with the Free World League and Federated Suns due to ethnic relations. I only really contribute by editing minor spelling errors on pages due to not wanting to mess up other peoples work, though hopefully I will be of major service in the end.— The preceding unsigned comment was provided by C4167 (talk • contribs) 16:40, 26 April 2013‎ . Hey all. Like BrokenMnemonic, I could not find the New User Posts, so I added my introduction to the end of the list. I hope that is acceptable, and if not I apologize. I guess I'm the newest one in the group, so I'll do the obligatory introduction. I too could not find the New User Posts, so forgive me. My Battletech experience goes back to the mid-90's after graduating from college. With free time, and living near a gaming store that had space for miniatures gaming, I discovered Battletech while FASA was still in existence. With no internet at the time, fulfilling my need for Battletech miniatures required that I search for every obscure store across the Northern Virginia area and Washington, D.C. Of course, I was a fan of the Unseens, harkening back to my days of Robotech / Macross, with the Warhammer and Marauder being my favorites (thus my screen name). As the years have progressed, I've continued to be involved in the Battletech universe including the MechWarrior PC games, (MechWarrior 4: Mercenaries was my favorite), as well as the MechWarrior clicky game (when you don't have people to play Battletech miniatures, you gotta do what you gotta do). I've read all the fiction, even the Dark Ages novels, but my favorite ones have always been centered around the Gray Death Legion. William H. Keith Jr's novels were the real first introduction for me to the game, from then on, there was no turning back. But, all good things must come to an end, and they did...with 'The Dying Time'. FASA's deliberate destruction of the Gray Death Legion was a betrayal that, to this day, bothers me. The GDL was the first mercenary unit that opened the door for many people to the Inner Sphere...and to systematically and so thoroughly destroy one of the premiere mercenary units of the Inner Sphere...well let's just say I was devastated. 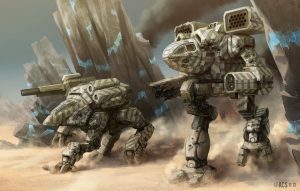 The Kell Hounds survived the Jihad, so too did Wolfs Dragoons, even though Outreach was blasted into a radioactive husk. No other mercenary unit of such distinction received the treatment that the GDL received. And so, it has been my desire to research every facet of the GDL, and find a way to bring them back. Sarna.net has been my source for a lot of Battletech information, but also for my quest to resurrect the Gray Death Legion. Call me crazy...but everyone needs a hobby, right? Hi! I'm a backer of HBS Battletech and I post gameplay videos under Bacon Space Program. I also do little bits of artwork for Battletech RPG groups or to showcase game features. I am an admin for the Unofficial HBS Battletech Discord server. I was introduced to the BattleTech universe when a buddy got me to try MW:O in 2014, after countless conversations while we commuted to our grad school courses. It wasn't long before I found this treasure trove of information, which has been my primary source of BT universe reference data ever since. I'd like to be able to add something new or flesh out some articles, but I don't have much in the way of BT universe resources of my own. Something I do have is lots of experience writing, editing, and doing analysis work from 25 years of school and work. I was even a newspaper copy editor for a little while, so I can help with style, grammar and spelling spot-checks when I run accross them, now that I've got an account. I'm also a voracious reader of fiction in general, and I've got gaming books for other games and systems, so lore and canon are familiar for me. I registered my account because I decided that I wanted to add something to a community resource that's been very good to me for over 4 years now. Let me know if there's a little something (or a little bite of something big), that I can help with to start while I get warmed up to working with the community here. I won't necessarily have consistently large amounts of time, but if I can contribute something, I'll be happy. This page was last edited on 14 April 2019, at 10:11.